I used it during some months as make up remover, because my skin is so sensitive and i didn ´t want to use any strong, creamy product, and it worked pretty well. 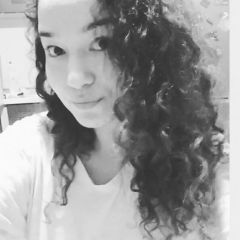 Removes all make up, mascara, and leaves the skin very clean. Sometimes I use a tonic lotion after, and normally the cotton pad remains clean which shows that the water already cleaned everything. Now i have some breakouts again, i don ´t know if it is the hot weather, or this product doesn ´t work for me anymore, but i think i will start looking for something else. I used it for months,it was good- calmed my skin,removed irrations ,helped a bit to remove breakouts,but it is not 'must have product' in my acne products list,because it doesn't have that strong effect,I am looking for. I used this every day prior to going on Epiduo (my skin is extremely dry right now) and it was good. It is very soothing, made my skin feel clean, calmed my break outs and made my skin feel very soft. When I first bought it I used it as a makeup remover but that ended up being too costly. It is $30 for 8.5oz bottle in Australia, so I use the product sparingly. It is a good product, but it's no miracle. 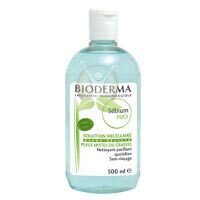 It's a good cleaner It could help the sebium production It's uncomfortable to apply Let the skin really dry I used it as cleaner for 1 month.. It was good but for me it was uncomfortable and it let my skin really dry. Does not cause break-outs Removes all make-up - does it's job well! Leaves a matte finish without drying skin out Slightly expensive Not widely available in UK - have to get it shipped Doesn't last as long as you would think This review is for SENSIBIO H2O, the version of SEBIUM H2O that is aimed more at sensitive skin. I use Retin-A gel/Isotrex gel, so my skin is usually quite tender... this product hasn't irritated my skin whatsoever and removes all make-up including that pesky waterproof eye make-up. I simply pour some onto a cotton pad and away I go. A little bit does go a long way; a few times I have saturated both the cotton pad and myself. You aren't left with any kind of funny residue on your face, and my skin seems quite matte, rather than oily like some cleansers can leave you. All in all, I would say it's a great product, and it hasn't caused a break-out... so far. I shall try & keep you updated, so if you're interested, pop over to my profile and I shall let you know if it's worth the hype/price. - doesn't have fragrance - doesn't have color - doesn't irritate at all - doesn't dry out skin at all - removes all makeup and cleanses the skin - doesn't need to be washed off - makes skin hydrated, smooth and supple - it's only sold in pharmacies - it's expensive - it doesn't last very long time if you double cleanse (1st time - makeup removal, 2nd time cleansing the skin) This is a review for Bioderma SENSIBIO H2O Cleansing Water; they don't have it among products. It's perfect if you want to only use one product on your face for makeup removal and cleansing the skin when your skin is sensitive. I am using Retin-A and it works great. Doesn't add to the irritation of using Retin-A.